Growing portfolio companies must focus on their sales, messaging, and go-to-market. 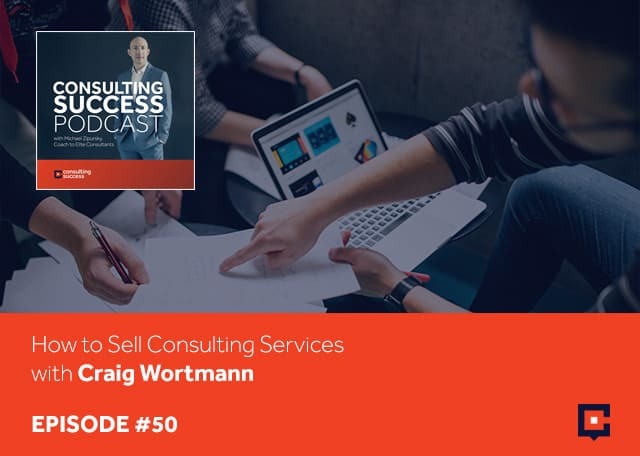 Craig Wortmann of Sales Engine consulting reveals how to sell consulting services and the key to sell more: networking. People may roll their eyes, but it’s true! 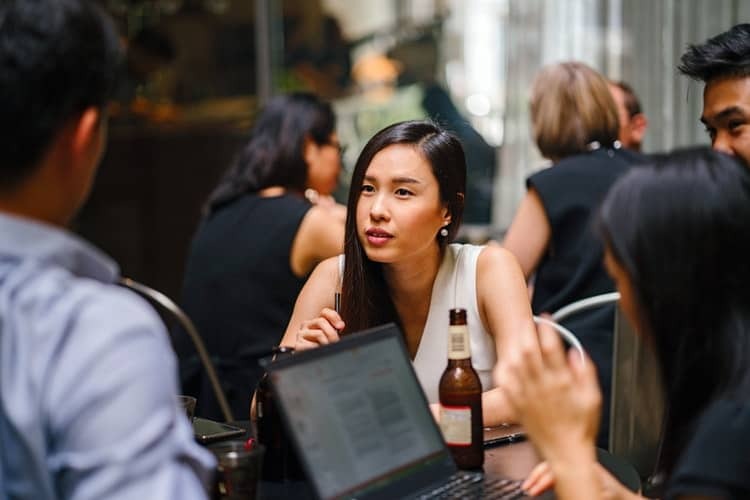 Networking is all about prepping beforehand, being crisp, articulate, compelling, and magnetic in the moment, with unbelievable follow-through. Try studying the follow-up that companies have from trade shows and events. When we’re selling, it’s not about knowledge. It’s about skill and discipline, networking, and talking to 30 people in the room so you can find five that will materially impact your consulting pipeline’s next quarter. Craig Wortmann is also a venture partner with the Pritzker Group Venture Capital out of Chicago. As a consultant, Craig also runs a decade-old sales consulting firm called Sales Engine. Now he shares valuable tips on how he continues to slay in consulting – and you can, too! I’m very excited to have Craig Wortmann joining us. Craig, welcome. Thanks so much for having me. I’m glad to be here. For those who don’t know you, Craig, explain what you do. I always say I wear three primary hats, which is nutty, but they seem to clash together in a fun, interesting and productive way. I’m a clinical professor of entrepreneurship and innovation at the Kellogg Graduate School. At the business school at Northwestern, I teach a number of courses ranging from entrepreneurship to communications to sales. That’s one of my hats. Another hat is I am also what’s called a venture partner with the Pritzker Group Venture Capital out of Chicago. I spend time trying to help our portfolio companies grow mostly on the sales and messaging and go-to market front. My final hat is I’m a consultant, so I run a decade-old sales consulting firm called Sales Engine. What we do is help companies build and tune their sales engine. I split my time between those three life loves of mine and just have a lot of fun. I taught at Kellogg a special session of my class that I call Life Hacks. I taught it with a good friend of mine who’s an amazing woman. We talked about how do you balance all this stuff. It comes down to what you are probably already thinking about. That’s being incredibly organized and incredibly disciplined. I’ve learned that one of the key things that I do have control over in my life is discipline. I tend to be a pretty disciplined guy, but not always. Not 24 hours a day. I’m not crazy. I am pretty disciplined and that allows me to be careful and cognizant of the balance of the different three masters that I serve. I remember back when I was in high school, I was very competitive in track and field and I would be a training six days a week. I never was into school and into studies, but the time I got into track and field and joined a club and became very serious about it and was training six days a week was where my studies improved the most. I had the least amount of time to work on those studies, but it was because I was applying this discipline, this focus, and concentration to that. Before that, I was all over the place. I refer to that as enforced discipline. It’s an interesting phenomenon that you do. I feel exactly the same way. You get more productive as you add more to your plate. There’s a point in time when that becomes counterproductive. An old of mentor mine used to always say, “Craig, I can take the most high-performing superstar and make him or her unproductive by just simply giving them too much to do.” You have to be careful. Craig, you are a true sales expert. Not only do you teach it, you consult on it. You’ve also been there and done that, built companies and sold them, which is my experience as well. I believe that that unique perspective of actually building your own company and selling them is one that provides a different and very valuable perspective. You got started at IBM. Was that your first experience to sales? It was. I came from the US federal government and IBM took a chance on me, which I am forever thankful for because they not only taught me technology from a bigger standpoint, they taught me business. I came from the government, so I didn’t know anything about business. I was a political science major in college, a little bit of dabbling in math, and IBM took me under their wing like they did to a lot of young people. They call it dipping us in blue. They dipped us in blue and I am forever grateful for that experience. It was terrifying. I covered thirteen zip codes on the south side of Chicago. I had very little idea what I was doing, got a lot of mentorship and coaching from bosses, good and bad, and made my way. That’s a long time ago and fast forward to now, one of the things I always say is I’ve been so lucky to be a practitioner and a salesperson, but also study sales and teach it. I always say to people that I can’t find the bottom of it. It’s just so interesting. Just when I think I’ve got my arms around it and go, “I got it. I’m an expert on this,” it changes and I have to learn some different angle. One of the things that’s fun about serving as a part of the Pritzker Group is going through these motions over and over with portfolio companies, trying to identify the challenges and help them push through it. That’s so much fun. Also, to take it in the classroom, teach it, and consult on it, it’s a blast. You mentioned challenges. Many consultants feel uncomfortable with the idea of sales, yet it is the blood that runs through every company and is necessary to survive and to prosper. Why is sales so scary for people in your experience? I’m going to start from the abstract level of analysis here up top with something that’s obvious to you. There’s this obvious tension between when you’re a consultant and you start a consulting firm. You are the firm. You are the delivery vehicle. The tension is when you’re delivering, you’re not selling and when you’re selling, you’re not delivering. How the heck do you balance this? At that level of abstraction, come down a little bit and let’s get a little bit more concrete. There are two things. One is a stereotype of salespeople that we are somehow smarmy, manipulative, and sleazy. I do this word association exercise in my MBA class for last ten years and it’s just fascinating. I do it with executives, I do it outside the classroom all the time, and I do it at somebody every week. You get this interesting list of words that are half-positive and half-negative. You get persistent, confident, and that sort of thing too under salespeople. Then I put entrepreneur and you can imagine what happens. It’s all positive. Visionary, job creator, world changer, risk taker, and all of these wonderful things that we all aspire to. I always say to people, “What’s going on here? Why manipulative, sleazy, and smarmy?” That’s real. I’m not disavowing that people have those words. Those are my words too. I’ve come across yuppie people, we all have. This is my point of view. As consultants, we get in our own way when we say, “Salespeople, those are those people.” We are salespeople. That’s number one. We’ve got to adopt the mindset, all the good, all those pluses, all those good things that people say about salespeople, persistent and aggressive. Aggressive is a good word. Aggressive in a right way, not annoying, but aggressive. Incredible follow-through, knowledgeable, quick, confident. Those are wonderful things to be. I don’t think we often associate those with ourselves as consultants. We want to be thought leaders, trusted advisers, super knowledgeable, and domain experts. By the way, those are wonderful things, but we’ve got to go through the selling motions. We have to sell. That brings me to point number two, going down our continuum of abstraction to get concrete. We need to get comfortable with making asks. It’s remarkable when I consult to companies and consultants and I watch them in their selling motions. We do what’s called ride-alongs in my business. It’s super fun to do and it’s incredibly informative because we learn a lot about the value proposition, the differentiators, and how they’re articulating it. One of the things people often fail to do is just ask. If I’m good, if I’m a domain expert and I can deliver the goods, why can’t I ask for something? “Michael, we’ve just spent three months together. We’ve done some incredible work. We’re seeing some emerging stellar results unfold. Would you be willing, Michael, to introduce me to three other people in your network who might benefit from the same thing?” I don’t care how you say that, and maybe that was not beautiful, but that’s an ask. That should be no problem for me to do that. I’ve begun to deliver for you or I have delivered for you. I see many of us shying away because we don’t want to be that guy. That’s a real tragedy because we leave a tremendous amount of value on the table. Let’s take one of those words that you shared, aggressive. A lot of people look at that word, and in my experience working with hundreds of consultants personally, that’s a word that holds a lot of people back because they don’t want to come across as being too aggressive. How do you define aggressive in a positive sense and what does that look like in terms of actions? How should someone be aggressive in the right way? It’s more synonymous for me with the word inspiring. As consultants, we want to inspire people to make change. We want to inspire people to do differently and to do better. Why can’t we be aggressive about that? Aggression is not me grabbing you by the shoulders and shaking you. That’s not it at all. It is saying to you, “Michael, is there an opportunity to get tremendous results from you? Let’s do this. We need to do this now, not three months from now. Look at the results we can get.” Here’s what will not happen. You will not recoil from my “aggression”, you will be inspired and you’ll go, “You’re right. Let’s do this thing. I’m going to push through the internal obstacles I have to getting this done. I’m going to get my head around the budget and get comfortable with it, Craig. Let’s do this.” That’s how I define aggressive. Aggressive is a good word. One of the areas that you consult on is prospecting and helping organizations to get more clients and customers. For a consultant, what’s your best advice? What specific steps should they be taking on a regular basis to prospect more effectively? I run a boot camp both inside of Kellogg and out probably at least once a week. You’re at an industry event, you’re at a Meetup, you’re at a get-together, however you will define that is fine. Let’s say there are 100 people in that room and it’s 5:30 PM. Just ask yourself, “How do most people, consultants, even salespeople show up in that room?” I can tell you how they do it because we studied this. 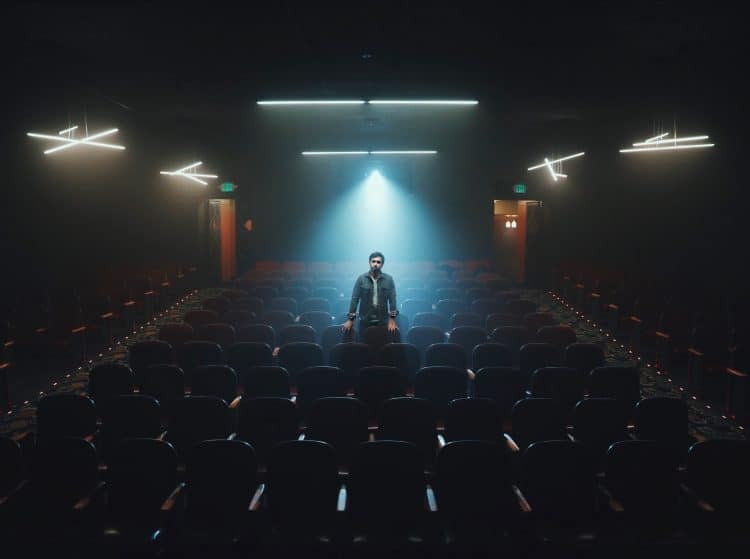 How most of us show up in that room is we walk in, we go to the bar, we grab a glass of wine or a club soda, whatever your drink is, and we talk to a handful of people. That handful is usually four to five people in 90 minutes to two hours. What I always say to people is that’s the definition of drinking. That’s what drinking looks like because that’s not enough. If there are 100 people in the room, you should be able to talk to 30 people in 90 minutes. I know what people are thinking. I’ve done this for a long time. Some of you are thinking, “That is super yucky and transactional.” It’s actually not. I would challenge everybody on this podcast to reconsider that. A three-minute conversation can have substance. It is a substantive conversation if and only if you are ready. Readiness means you know exactly how to talk about your company. If I walked up to you and I met you for the first time, I didn’t know you and I’ve got a name badge on that says Craig on it, and you say, “Craig, I’m Michael. How are you? What do you do?” I would say, “Michael, I run a company called Sales Engine. What we do is help companies build and tune their sales engine,” and then I would stop. That’s all I need to say and that’s all I should say before I know more about you. We have worksheets and all kinds of tools on this, but we help people create what we call their on-ramp to conversation and they’re off-ramp to conversation. You’re looking at that initial conversation as an opportunity to qualify whether you should be spending and investing more time with that person, whether it’s in that conversation or another day. That qualification should happen within two minutes. If you do it in live action, it’s not yucky at all. Are you moving? Yes, I call that working. You’re not drinking, you’re working. I’m moving you through that conversation to determine whether Michael may be a super nice guy and a guy I want to spend time with. He’s not my guy, but he’s a super nice guy. I can make a decision. You go, “I want to have a twenty-minute conversations with guys. There are interesting guys from Toronto. I love Toronto.” That’s fine, but make the conscious decision. Or I might say, “Nice guy, not my guy. I’m moving on.” I’m moving on within three minutes and I’m going to do it in a gracious, subtle, nuanced, and wonderful way that doesn’t leave a bad taste in his mouth and I am going to get back to work. I want to underscore the foundation of everything we do, which is based on knowledge, skill, and discipline because selling and consulting is a combination of these three things. It’s not knowledge. Consultants, in particular, get in trouble because we over-index on knowledge. We’re consultants. We have to be smart. Don’t get me wrong, I’m not disparaging knowledge. We have to accumulate knowledge and we have to be able to apply that knowledge to our consulting projects. Period. When we’re selling, it’s not about knowledge. It’s about skill and discipline. Networking a room and talking to 30 people such that you can find five that will materially impact your next quarter of your consulting pipeline, that skill and discipline. It’s not at all about knowledge. I speak with a lot of consultants who are looking to go to trade shows and this is one thing that also comes up. A lot of people’s status quo is to show up at a trade show and try and figure out who they should meet when they go there so they’re wasting a lot of time. They can make so much more progress and see a better result by preparing beforehand, by identifying who they should be speaking with, setting up meetings beforehand, so that when they go there, they’re not spending time just walking the halls, trying to identify prospective clients, but rather, they’re in back-to-back meetings. That provides a much greater result from going to a trade show. That’s why I always give people a heads up when I say the word networking. Networking is three fluid motions that are all skill and discipline. That is prepping beforehand; being good, crisp, articulate, compelling, and magnetic in the moment and unbelievable follow-through. One of the things we do in our consulting firm is we study the follow-up that companies have from trade shows and events. We go on behalf of our clients. We are the client and we’re totally transparent about it. We don’t introduce ourselves as employees of the company. We say, “We’re advisers to the company, but I’m wearing the company badge today.” You swipe your badge at 50 booths, and then you get the day or two after the conference. You get follow-up emails from most of them. Some of them are not even talented enough to do that, but from most of them, you get follow-up and they all look and sound exactly alike. That is a tragedy. What we help people do is in that step three of networking, the post-event action or the post-event selling motion, when you’re good in that conversation. Step two, when you’re good in that conversation, you’re listening for certain things. Michael happens to say he’s from Toronto, but he spends a bunch of time in Vancouver. What’s the first line of your follow-up email? “Michael, it’s great to meet you. I enjoyed our conversation about Toronto and thanks for that great restaurant recommendation.” It becomes completely different. Is it a 100% conversion rate? Of course not. We’re selling here and it’s hard, but you do have a better chance. You’ve mentioned for consultants, that in your experience, networking can be highly effective in the way that you described it. How about at your current company, Sales Engine? Do you use the same approach to attract clients or is there another strategy or approach that is more effective for you to build your pipeline? Yes is the short answer. The slightly longer answer is because I have three main hats that I wear, what I’ve attempted to do as a consultant and just as a person is to build a platform. What that means is I write quite a bit, I do a lot of speeches, and I do this with a smile on my face. I call it speech marketing. In my MBA classroom, selling is one-to-one and marketing is one to many. When you’re giving a speech, it’s one-to-many, but that’s still getting your message out. What we’re very careful to do is when we walk off the stage or walk off of a front of a room, that’s a one-on-one sale and we very much switch gears. It’s about listening. It’s about asking questions and not telling. That’s what makes you magnetic in that moment. It’s being present on social, it’s being present on LinkedIn, it’s writing and trying to produce content and videos that get out into the world, and it’s just classic networking. One of the challenges that a lot of consultants face when it comes to sales is mindset. People connect their success to making a sale and winning a proposal, which means that when they don’t make the sale and they don’t enroll that new client, they feel defeated by it. Sometimes, down and even depressed. It’s like a roller coaster of highs and lows, but in this case, the lows can be very low. You start to doubt yourself. You’re dealing with issues of self-esteem or lack of confidence. From your experience in working with many organizations, many sales teams and salespeople, how should consultants best deal with this? I have two thoughts for you and they’re both very tactical. One’s immediately tactical. One’s a little bit broader. The immediately tactical thing is thank people. What I mean by that is when you lose a deal, go all the way. What I mean by going all the way is write a thank you note to the person or persons who made the decision. Thank them and say, “I appreciated the experience of doing this. I’m obviously disappointed that it turned out this way. May I engage you in a ten or fifteen-minute call to understand why we lost?” That’s called a lost debrief. We do if for our company and we absolutely insist on it for our client companies because it is an unbelievable learning experience. You are not, let me emphasize this. You’re not attempting to somehow manipulate them and win them back. That’s not the motion. The motion is just pure learning. One of the weird things that happens as a consequence of this is resilience. In talking through a loss and understanding how you failed, it is an incredibly rewarding learning experience. It’s hard. Believe me, feedback is hard, but it’s a great lesson learned, and it does tend to get you back on track. It’s those two things. The broader answer that is still tactical is what I think we do, and we do this a lot with portfolio companies and others, is we put them in sprints. If you’ve had a loss or if you’ve had a series of losses, make something time bound. Just take a week or a month. It depends on your firm, it depends on the sizing of your deals, your client set, and stuff like that. Depending on your company, go into what we refer to as a sales sprint. We did this with a portfolio company. Pipeline was suffering and revenues were flat to declining. It was a scary situation. Everybody’s bombed and we said, “We’re going to do something really hard. 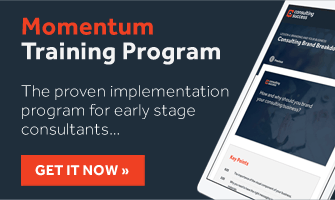 This is not going to be fun, but we’re going to go into a sales sprint and you are going to emerge in three months with a fat pipeline that is starting to get traction and having things move through it.” That’s exactly what happened. Notice my words, “This is hard.” That’s the metaphor that I use when I introduce this to our teams because I rowed crew for a year in college. One of the concepts you learned from crew is when the coxswain yells out, “Power Ten,” that means you pull that oar as hard as you possibly can for ten strokes and you often find yourself throwing up over the side of the boat after you do it. It’s that hard. That’s what a sales sprint is. For every consultant listening to this, here’s my tough love advice from a sales coach, you should have at least a few weeks out of every year to do a sprint. A sprint fills your pipeline. You’re not delivering. You’re selling. You carve out a few weeks a month if you can, whatever works for your company, and you don’t create PowerPoint slides. You don’t create tools and deliverables. You sell. What would that look like? Just tactically, a few steps for someone who wants to fill their pipeline and saying, “That sounds like a great idea. How do I do that?” What are a few starting points that they can take action on. This is when our people are thinking that’s what would make me throw up. For you, it was the rowing. For others, it’s that idea of making 70 calls that might make them a tip over the edge. I’m a salesman. My vision of an ideal day is not making 70 calls, but this is the hard work of sales. We have to do this. I can almost promise that if they do this for some sustained period of time, and I don’t mean a year and I don’t mean three months, but a week or a few days. If you make a whole bunch of calls, and I don’t know if it’s 70, but it’s not four. You will suddenly wake up in a couple of months and you’ll be like, “Where did all this business come from?” I can tell you exactly where that business came from. You’re selling. That’s what good selling looks like. Is the goal of those calls to set up appointments? Is it to simply try and identify if there are issues and that you can help? Yes and yes. I just want to dig down underneath it. What you’re not doing is trying to close deals. You’re simply trying to start relationships. If starting a relationship looks like me saying, “Michael, would it be possible just to spend five minutes of your time understanding what your issues are such that I can understand whether I would ever be a potential resource, could we do that?” Or “Michael, could we do that over a cup of coffee? I don’t want to do it now because I know I caught you off guard and you weren’t expecting my call and I am thankful that you’re even listening. Would you spend five or ten minutes? Can I buy you a cup of coffee and talk this over? I’m trying to build my business. We have a unique set of insights that could help you, but I don’t know that. I need to know that and a ten-minute coffee would be tremendously helpful to me.” That’s your motion. That’s all you’re asking for. As all consultants’ experience, there are different stages that we go through. Early on, it’s finding our footing, figuring out what’s working, what’s not going to work. We’re scrambling, we’re struggling in many cases, and then you reach this place where the pipeline is now starting to really fill up. 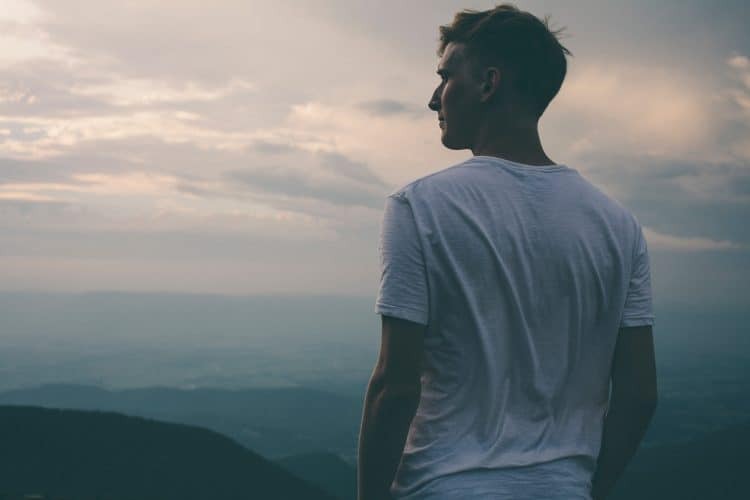 You have more income coming in and you’re starting to enjoy more of your success, but then you reach this realization that you want to grow even further. This is where people start looking at, “How do I put in better systems and processes and looking at scale and leverage?” What’s been your approach, especially for a guy that has three different hats? You’re spending time working at this venture firm, you’re teaching at a university and business school, and you’re also running a consulting firm? Just give best practices or tips that you might be able to offer people who have established consulting businesses and want to go to that next level. For you, what has worked? Has it been teams? Has it been certain systems, processes, and technology? What’s your approach? Three things have worked. One is early on, it was systems. I’m a pretty darned organized person. I don’t have any secrets that anybody else doesn’t have. I use Evernote like a professional. I’m an insane Evernote guy. I can tell you every conversation I’ve had for years and years and I know exactly how to find it at a fingertip. Cloud folders, whatever your choice is, Dropbox, iCloud, whatever. I have all of those incredibly well-organized. My favorite CRM is HubSpot. I can track every single thing. I have spouses, partners, I have phone numbers, I have everything in HubSpot that helps me be organized. That’s level one. That’s the foundation. Level two of scaling a consulting firm is having support around you. I think all of this is obvious, but it’s worth talking about for a minute. As I grew my business ten years ago, I went through this period of time I’m embarrassed to admit, I was like, “I don’t need any assistance. I can book a flight faster than I can ask somebody to book a flight for me. Why would I do that?” I had good mentors that said, “Craig, come on, you’ve got to let go of some of that stuff and get support around you.” Thank goodness at some point I finally got through my hard head and listened to them. I have a handful of people across two organizations that support my ability to be in the right place at the right time with the right stuff. That has been incredibly helpful. The third stage is do we want to grow this footprint of people like me? It’s not support. Let’s replicate the cool stuff that we think we do and the differentiated aspect of it. My advice, and I don’t know that it’s satisfying advice, is always be on the lookout for someone who could be a junior version of yourself and start mentoring them. Even if it’s an arm’s length mentorship, even if they’re doing another job or they have another role with a different company, bring them in and be opportunistic. I’ve literally have asked clients, “Can I bring someone to shadow me in this deal? You’re getting two brains for the price of one.” You can’t believe how nice people are about that. “Of course you can bring someone, Craig, that’s fine.” I’ve never had someone say, “No, you can’t bring another resource,” even though you’re “training” them. That is a great way to start to think about, “Could this be Michael and Craig’s business instead of just Craig’s business or instead of just Michael’s?” It gets more interesting. I’m sure that your fees have increased over time. How about the fee structure that you use? What does that look like today and how does that compare to what your fee structure was early on? That’s where I get pushed back because they’re like, “No, I’m nobody. I’m high quality. My deliverables are high quality, but nobody knows who I am.” I say, “So?” That’s where sales come in. A salesperson can create value and justification and differentiation around price when they have a high quality product, even if that high quality product is unknown. That’s what salespeople do. That’s what we’re good at. What I encourage consultants to do is if you are a high quality, wherever you are on that quality spectrum, chances are you’re high quality, then you must by definition be high price. Don’t apologize for it. Sell into it. Make sure that you are really crispy and clean about why you are a high-priced. I actually think it is just as easy to sell a high price as it is a low price. Do you come up with your pricing and your firm’s pricing based on a daily rate, an hourly rate, overall project, or more of a ROI value based approach? We’re super lucky. Ten years in, we only sell large projects. We will on occasion sell by the day, but we really drive up the price because we think of ourselves as high quality and so we invest in that. I don’t arrive at a day without knowing a heck of a lot of value in having spent time with you, even though it’s a “day”, but that day tends to be very expensive. We sell buckets of day and they’re trending larger and larger, which is rewarding. It also causes a problem because it causes a supply problem. Craig, I want to thank you for coming on here. This has been great to get your insights and experience for everyone on the Consulting Success Podcast show. What’s the best way for people to learn more about your work and to connect with you? First of all, thank you for the opportunity to talk about this. This is one of my favorite subjects, so I love talking about it. Thank you for the opportunity to do that. Best way to reach me is we’re on the web at SalesEngine.com. On LinkedIn, Craig Wortmann. If people have questions, we’d love them to join our community. The one thing I would log roll is we launched my online course through Coursera, which is fun. There’s free versions of that and there’s paid versions. That’s not necessarily a sales pitch. It’s just there are 67 videos, there are a lot of stuff. It’s called The Art of Sales. Head over to ConsultingSuccess.com. Type in Craig’s name or head over to the podcast page and you will find Craig’s podcast with the full transcript and all links so that you can connect with Craig, and learn more about his outstanding work. Craig, thank you so much. Thank you, stay in touch, and I wish you all the best. I really liked it when you said that pricing consultation services on a per day basis tend to be really expensive because the quality is key. Quality is what clients are investing in. So, I agree that customers should look into bigger or longer-term engagements because not only to get the most out of the consultancy but also become more cost-efficient. Should I go full blast into consulting work, I will definitely avoid the daily rate. Thanks for your tips! Thanks for the thoughtful comment Angel and glad you enjoyed this episode of the podcast.